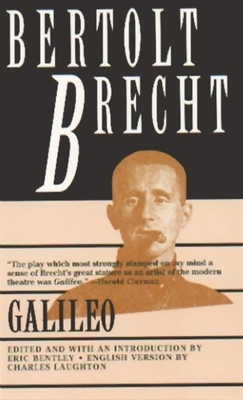 Galileo (Brecht) (Paperback) | The Drama Book Shop, Inc. Considered by many to be one of Brecht's masterpieces, Galileo explores the question of a scientist's social and ethical responsibility, as the brilliant Galileo must choose between his life and his life's work when confronted with the demands of the Inquisition. Through the dramatic characterization of the famous physicist, Brecht examines the issues of scientific morality and the difficult relationship between the intellectual and authority. This version of the play is the famous one that was brought to completion by Brecht himself, working with Charles Laughton, who played Galileo in the first two American productions (Hollywood and New York, 1947). Since then the play has become a classic in the world repertoire. "The play which most strongly stamped on my mind a sense of Brecht's great stature as an artist of the modern theatre was Galileo." - Harold Clurman; "Thoughtful and profoundly sensitive." - Newsweek.